The GEL-TASK MT is a mid cut shoes that offers extra support and a comfortable fit. 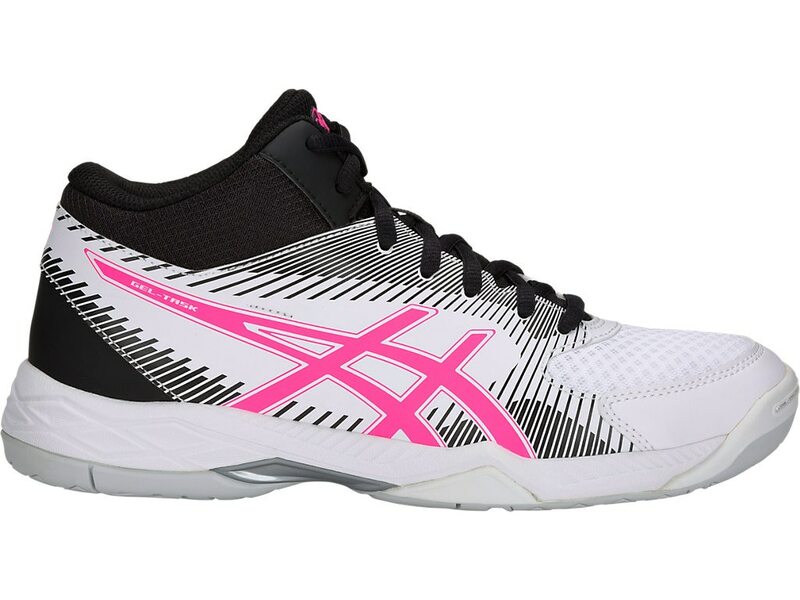 The shoe is also equiped with the two features for amateur volleyball players, enhanced cushioning and comfort. It has a new upper enhanced upper providing comfort by reducing the number of seams. It also has a new midsole that provides lateral stability. The TRUSSTIC technology supports stable movements by reinforcing the middle part of the sole and preventing the shoe form twisting. Optimize the shock attenuation during boost. N.C. RUBBER is a material that realizes grip and durability at the same time, which are required in court sports. It improves performance in movements requiring quick turns and jumps.